In the United States alone foundation grants and giving account for nearly $70 billion annually. That fact implies that a whole lot of impact is being generated. But how would we know? Managing grant funded projects can be complex, especially if one has a large portfolio, and true impact accounting is not always pursued. What’s more troubling is the general perspective held across the sector that foundations lack accountability, especially when compared to other impact-seeking entities (for-profit social enterprises, for example). It’s a truism that foundations lack accountability – unlike (democratic) governments and companies, which are at least in theory accountable to voters and shareholders. 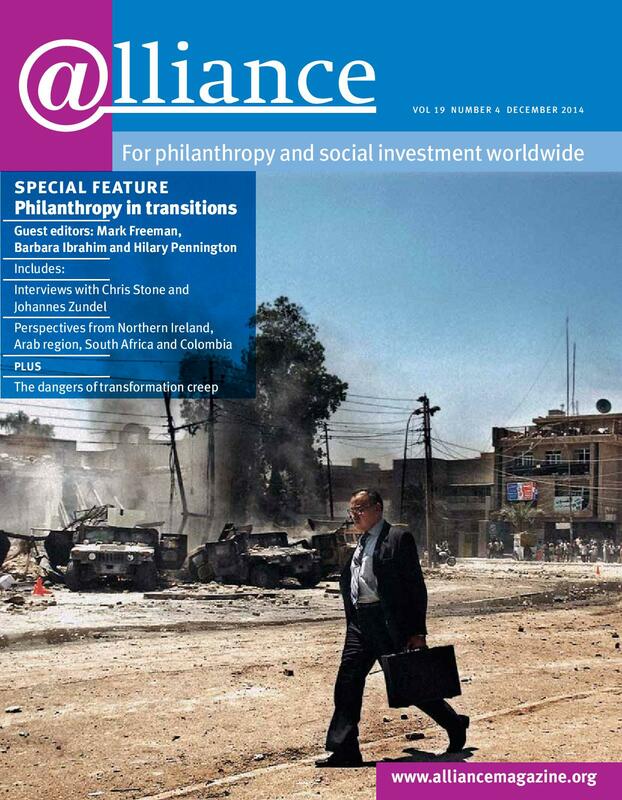 The justification for this – in the eyes of the philanthropy world, and presumably the wider world – is the assumption that foundations probably do quite a lot of good, and almost certainly don’t do any harm. The extent of the “harm” is debatable. But if such large amounts of capital are being poorly managed and impact poorly accounted for it seems clear that that is not an equation that is optimized to create the greatest good for target beneficiaries. New accountability measures are needed, as are the tools to help them work. Let’s take a look at the former before examining the latter. Incentivizing foundation accountability is clearly linked to a need for more transparency, and empowering foundations to leverage that approach to improve strategic outcomes for the organization and its grantees. But foundations that are more transparent is not enough of a change in itself. That transparency (i.e. data!) needs to be accessible, understandable and explained in context for it to be an actionable measure of accountability for stakeholders at all levels, including the general public. If there is a clear path for achieving that kind of authentic transparency, we’ll be looking at true progress towards accountability. The J.W. McConnell Foundation pioneered this emergent approach, which is now being adopted by organizations like the Rockefeller Foundation. Such a strategy aims to make foundations more adaptable, able to learn and make decisions rapidly and collaboratively in the face of new data, instead of simply focusing on meeting benchmark indicator goals without understanding the nuances of how those were achieved (or not). What does this have to do with accountability? An unfortunate side effect of traditional accountability measures (set indicators and outcomes and meet them) is an increasing need to control or micro-manage the activities of grantees. This can have a negative effect on grantees’ ability to perform, which affects all parties involved, from beneficiaries to funders. With these tendencies and externalities in mind, it’s worth asking the question, how might we empower foundations and grantees to be more accountable without compromising performance? The answer to the above question is complex, but can be summed up in two words, data management. Let’s take a look at the first issue: transparency. We mentioned that transparency in itself is not enough -- data needs to be packaged in a way that is accessible (easy to understand) for all stakeholders. Secondly, pushing indicators and outcome measures onto grantees who may not see those metrics as relevant to their work can be detrimental to the work being done. Access to the right metrics, and even customizable metrics tools, can help reduce this friction and improve performance. 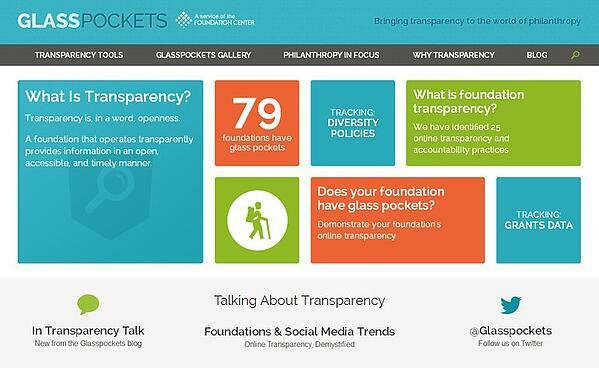 Glass Pockets is one resource which foundations can turn to to help solve these issues, achieving better transparency and accountability without compromising on performance. Their Transparency Trends Guide, GrantCraft Guide, and eGrant reporting tool offer foundations the ability to get more of what they do online so that it is visible. However, this doesn’t address making data easier to manage, analyze, and report while working with upstream and downstream players. The cloud-based platform developed by Sopact, Impact Cloud, is already being used by foundations to streamline such processes. It puts all the pieces of this complex accountability puzzle together. It makes communication and collaboration with grantees much easier, with customizable metrics, as well as one of the largest standard metrics databases on the market. Combined with analyses and reporting tools, foundations input data in real-time and adapt swiftly (if necessary) to the results of those data. The Impact Cloud operates where strategic philanthropy -- encouraging agile and adaptive operations -- can meet transparency and accountability. And that journey can begin (or improve) for your foundation right now.